When you shop for bath towels in bulk at a retail outlet, you’ll immediately balk at the price. Especially if you want something durable and affordable, it can be difficult for something to meet your criteria exactly. The good news is that you don’t have to settle for retail purchases when you want to use great-quality, inexpensive bath towels at your hotel, hospital, or other establishment. The solution? Place a bulk order from a wholesale supplier. At Cottonall, we are located right here in the USA and are proud to be a wholesale supplier that offers excellent products and competitive prices. We have durable and absorbent bath towels of all sizes, and with your bulk order, you’ll quickly see the advantages of shopping with us. Our inexpensive bath towels can be shipped straight to your location, and our quality products will not disappoint. Bulk ordering is often ideal for many different reasons. Not only does it cut costs, making it easy to afford inexpensive bath towels, but it also ensures that you have the supply of towels you need for virtually any application. 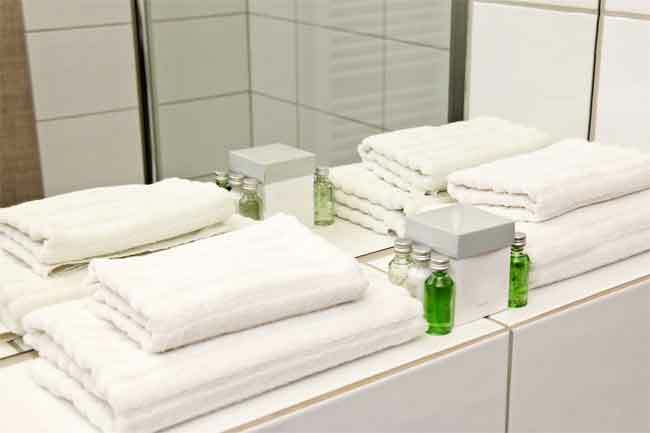 In addition to bath towels, we have hand towels, bath mats, cleaning rags, and cotton wipes that will complete your supply of towels for your business. You may also enjoy our lint-free rags for precision cleaning. The next thing you should do? Place your order at Cottonall and experience the cost savings and great quality towels that we can offer with bulk shipments straight to your door. We look forward to becoming your wholesale supplier of choice!